These are the ultimate in lipstick moulds which allows for removal of the lipstick into the tube to be done in a manner that gives the lipstick a beautiful and professional finish. Optional purchase: For easier removal use the case fitter but after a while you won't need it! NEW! For those of you ready to go to that extra step of professional makeup, you can now get lipstick moulds with your own logo on. 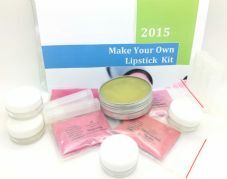 The only place the logo can be applied using the same mould that we carry is on top of the lipstick, see picture!. It does cost extra and whereas the basic moulds are available for immediate dispatch, the mould with a logo takes around 6 weeks to be dispatched as it has to be specially ordered. 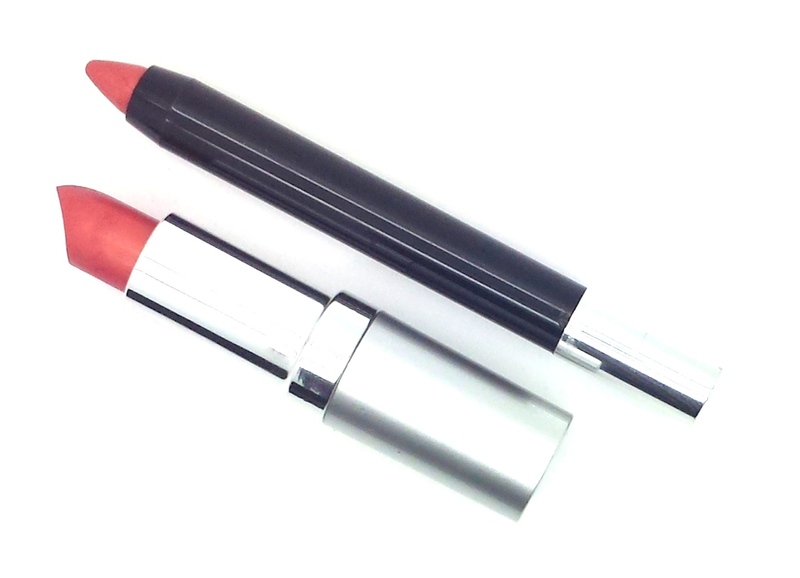 We believe, unlike others that are on the market, that our moulds are by far the best, easiest and user-friendly way of making lipsticks, and for cleaning purposes afterwards. In the picture are lipsticks that were made in the mould, the colours are from our impact coloured pigments. Also included in this purchase are 4 empty lipstick tubes for testing purposes. 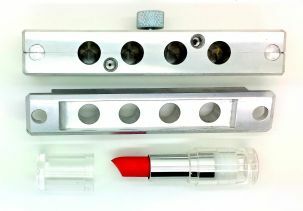 These lipstick moulds are a key tool for anybody wishing to make their own lipsticks or for anybody wishing to start their own professional cosmetic making business. These moulds are the moulds that we use at the Aroma Shoppe for training purposes and in the making of lipsticks. 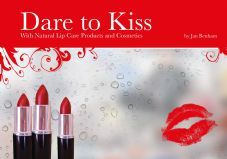 We also supply empty lipstick containers and EU & FDA cosmetic approved lip-safe colours and pigments. Our split level Cavity Lipstick moulds have an awesome waterdrop BU tip shape (see picture), fits lipstick case 12.1 size. This mould is made out of high quality Aluminum for durability and, with care will last a lifetime.